Prize DrawsWin ONE of THREE Pedometer watches from Damart! 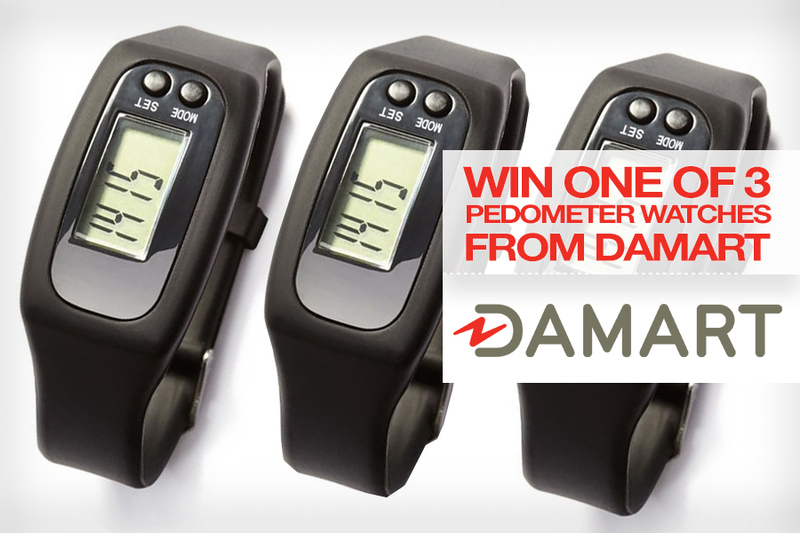 Win ONE of THREE Pedometer watches from Damart! Win a Pedometer Watch from Damart and keep track of every step! This month you could be one of three lucky winners of this Pedometer Watch from Damart. A great way to get in shape, easy to use and stylish. You can now stop thinking about logging distance and start thinking about logging steps. It’s ideal for helping support a healthier lifestyle whether you’re starting out on your fitness journey or well into it. Sleek and slim, this lightweight watch delivers on both style as well as functionality so you can look good while getting those steps in. Shop Damart’s exciting new collection today! Packed with this season’s key colours and shapes, but with a unique Damart twist – style with added comfort. Choice of sizes – Amazing range of sizes from 10 to 28, and a choice of lengths, so you can find the perfect fit to flatter your figure. Innovation – Damart develops textiles to keep you warm, cool and everything in between. I have a very active job. It will be interested to see how far I walk each day. Here’s to a more active lifestyle. I would really love this to track my walking. I am hoping to increase my fitness levels and lose a little weight. Also I hope it would help with my joints etc and motivate me more to get out and about. I need this to help with my new fitness regime. my Grandchildren and as it's so stylish and functional I would feel quite trendy, just what I need to keep up with my little ones. I always wonder how many steps I walk in a day. This would motivate me to do more . Ooooh! I have been looking to get a pedometer to track my steps and as amotivation booster! when I rode a motorcycle Damart undergarments kept the cold out,now I wear them when I go fishing this pedometer would let me know how far I am walking during a session and prove I'm not just sat there. Wow this would be perfect to kick start my exercise programme! This would ensure that I’m covering my daily 10,000 steps. Keeping in step with the new technology would be a great way to kickstart my new retirement exercise regime. Love walking so this would be really really helpful. This would really boost my momentum . I don’t receive a confirmation email. Be great to use one of these to keep track of my daily walk. Have you checked you Spam messages? I would definitely step up to win this prize! From Excellent clothing to Excellent products well done Damart! I have just started a walking group, this would be fantastic. Just like all my fellow walkers have. Just what I need to keep up with my friends . Would help when we visit National Trust properties. To see how many miles we walk around the grounds and there walks. Just been on a wellness week. I’m hooked! As I am tending to walk a lot more and not using my car as often, I would be interested to see just how far I am walking. Would love keeping such a close check on my steps. This would be a great help as I attempt to get fit! To check my progress after a partial knee replacement. Would be interesting to see how much ground I cover whilst minding the grandchildren. I would love this. ..
Come in very handy to monitor my walking..
Will give me the kick start I need. Walk every day, love to know my steps! ‘Watch’ the pounds fall off! This would help to give me a healthy lifestyle boost which is much needed . Wife has just started her walking plan yesterday, would be a very useful gadget. Need to watch my step ! I would hope that owning one of these pedometer counters would give me the urge to walk more as I need to do. taking new steps every day-watch this space! Having heart problems and limited mobility it can feel at times i'm not getting enough exercise. This would be perfect to actually monitor the amount of steps i'm actually doing each day and perhaps i'd even surprise myself at what i'm actually achieving, giving me the motivation and encouragement to better myself each week. i use my phone for this but of course this only works when im carrying it. would be great to have something i could wear all the time. I have mobility problems and I really need to lose weight by walking more. This Pedometer Watch is just what I need. Good luck everyone. it would be great to know how many steps I take each day, and if I walk for long enough or far enough to keep me in good health. Somehow, one's walking efforts are never enough, so one of these watches would clarify just how much exercise one needs to do - and I bet it's much more than I do!!!! Would have no excuse for not exercising with one of these watches. I like to stay in step. could do with some motivation! Just been diagnosed with type1 diabetes, the watch would help me keep fit. Would be good to win. My last one just stopped! Would be great for me - recovering from knee surgery, would incentivize me to walk a bit further each day. Would love to know how many steps I take getting to my seat in the Etihad. Need to increase my excerise this would be a great . Would be good to be able to monitor steps after recovering from a recent brain op. I need one of these for when I walk the dog. Maybe I would make the effort to walk more. Would greatly aid my weight losing project as I suffer from thyroid problems. Just what i need to encourage me to walk more. Wish I had one today when we did a walk and got lost but didn't know how many extra miles we walked! 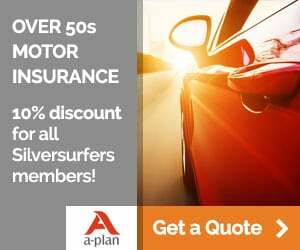 It could help with my flagging energy as my age creeps on, some help would be appreciated. This is just what I need to encourage me on the road back to fitness following a back injury caused by a fall. Hope it doesn't mean cheating when using my walking stick to aid my walking steps. Would be interesting to know how many steps I cover each day, I hope I do the recommended 8000 per day. Hey I would love to win the prize. Makes you feel good. As a customer of Damark already, I would be delighted to win this pedometer. 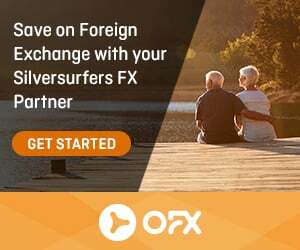 My wife and I are Senior Citizens and this would help us to keep a check on our fitness when walking our little dog. Just the thing to get me moving again after a fall last week. Just the thing to get me moving after a fall I had last week. What a wonderful way to WELCOME a new member...with a contest....love it! Need to get in shape, would love to win. What an inspiring prize to win. Good luck to all who enter this competition. I was lucky enough to win the 50 Amazon voucher!! Brilliant, a great prize to share with my wife. Here,s hoping. For more than a bit. I need to walk more,this would give me a reason to get up and go ! I run a local walking group so this would be a bonus as I could tell my walkers how many steps we have taken. A pedometer would be an asset to assist me in achieving my fitness goals. Hubby 60 soon. Wants to get fitter!!!! This would help. I know this would encourage me to keep fit,along with my daughters advice! Need to win one of these,I have just been told I have to cut my sugar intake, and do a bit more exercise, so this would come in handy. Just to be the man who wins one of these. Would love one of these . Would definitely give me an incentive to walk more! Would make my exercising more meaningful! After hip replacement operation, eagerly joining my walking group again, and also walking whenever possible to strengthen my hip. Stepping out again after two knee replacements. This prize will certainly help keeping me up to speed. Would love to win. My old one has just broken. Just starting a weight loss and fitness regime, this would be a great help to me. Fingers crossed as I need to get fitter. Could do with one of them things for my Heart class exercises. Ideal for my keep fit regime. I am a dog walker and would be most interested to know how many steps I take during the day and evening. Would encourage me to do more walking. I wish, if only, then I may attain all the things others wish for. Would love to win one for my wife who is a breast cancer survivor. I already have a fit watch so my wife could track her own progress as well. i need to get fitter and walking and counting steps make it a lot easier and more fun. Just the thing to make sure our doggy guests get their full exercise. Walking is the only exercise I'm allowed to do at the moment. This item would help me keep track of how much exercise I'm actually getting. Let’s get up and go and enjoy the outdoors. Such a great useful prize . Having one of these would be a good to help me with my programme. Great anything to get me off the sofa and mobile. I need to keep up with my wife, she has one from another source. This would be a great help to me as I had a minor stroke last year . It would be a good incentive to keep track of my steps.Thank you. A great incentive to improvment by knowing if you’ve done as much exercise as you need for optimum health! I have often considered purchasing a pedometer but never got round to it, would be helpful addition for my walking and running days. A badly needed help for me to get fit and fight the flab!!!!! It will be great to see how many steps I do. Having fibromyalgia, I am trying to improve how far I walk. Interesting to find out how many steps you take in a day. Fabulous giveaway I have always been curious at how many steps I make in a day. My granddaughter is getting married next August and I need all the help available to get in shape. I am sure this would help me to achieve more steps. Very stylish too. I like Damart stuff, I buy their clothing - but I had no idea they also sold 'other' items! Good for them! Since I have difficulty walking I'd like to know how many steps I do take, even if it's just in the house. They look fantastic, I’m sure one of these would encourage me to walk more. I would love to win a pedometer, it would be good to k ow just how many steps in taking each day. I have a pedometer, best purchase ever, this would be a great gift for my husband. For my husband after his bypass surgery to help in his rehabilitation. This would help to get me fit. Due to start chemotherapy for bowel cancer on Monday, so having a pedometer would help me try to keep record of fitness during a difficult time. After recovering from a broken ankle, having one of these would incentivise me to walk even more. I have limited mobility so need to check how much I can achieve. Need to get fit; this would help. I have limited mobility so it would be great to find out how many steps I can actually manage. Beats trying to count to 10,000! I am having a new knee next week and must walk a little more each day. This will help me monitor my progress. Walking is good for the mind. This would be a great prize to help me exercise more and lose pounds. Love the design! Would love to win one of these. It would help give me incentive to go walking more than I do at the moment! Have just lost 4st wirh 3 stone to go. My husband has lost 5 st and tbis would encourage us to walk more and help with our weight loss journey. Love to win one, esuer to see just how well we are excercising. Would love to win one of these as it would help towards my new fitness goal. Never owned one of these ! Sleek slim ,well that’s what I would aim for . Wonderful device to help with me logging steps ! Could do with one of these to help my fitness activity, please. I walk every day with two doggies and would love to know just how far I walk as I have tow dodgy hips and I've been told to keep walking. I need something to encourage me to start walking again . It's been lovely weather but too warm to walk in. This would start me off again in the coming months. I need to lose some weight it is creeping up again. I need to start my exercise routine as I need to loose 4st. This would give me the insentiv to check my daily goals. Terrific prize. Just in time for hubby's 60th. I'm sure this one will work for me! I would love to win this, just what I need to get me motivated. I love shopping with Damart and this would be a great way to make me become more healthier by doing more walking and counting steps as I go. Just recovering from ankle operation, would be a nice thing to help me onto the road to a speedier recovery. I would love to win a pedometer. This might make me do the sofa to 5k challenge ! I would love to win one of these so I can keep track of my fitness. would love one of these - can do it on my phone - but always leaving the phone behind! this is something I so need, right now! Fab prize, good luck all. I never win anything - maybe this will be the first time! Excellent prize if your lucky enough to win . Super! helps keep total of daily steps . Hubby has a Garmin Vivo fit, I’d be happy with this one. May encourage my walk-phobic self to attempt the required 1,000 steps a day ...or even further, may be fascinating to watch the miles clicking up! I have high BP and high cholesterol so I’m currently trying to exercise to a level that will reduce both, this Damart pedometer would be a great help and incentive for me. I've been using Damart for both clothes and household items for some time. Quality is generally very good. Just need that extra incentive to get going. Sounds like a great prize. Just right to help to keep me on the move! always tired - like to know how far I walk each day. Have found out I have a serious Heart condition, so this pedometer will give me the motivation to walk that little bit further each day. Just what l need,Thankyou very much. This might be just the thing to push me into walking more! This will help me get up and go when my dog Jake tells me it is time for our walk. and I can inform him that my watch tells me that we have walked far enough today. I'm entering on behalf of my 85-year old mum. She has recently lost 31/2 stone but still has problems with excess fluid in her legs and lacks some confidence after a fall. I think a pedometer would motivate her to step more, rather than being concerned about distance. She has done SO well and I am very proud of her. This might encourage me to do more steps, here’s hoping. Would love this prize, I do walk a lot but never know if I need to do more. Having been diagnosed with Type 2 Diabetes recently I am using my diet and exercise to control it. This would be a great help in improving my exercise level - always trying to improve on the previous day's walk. Brilliant prize thanks to Damart. I do walk quite a lot in my caring duties and I would like to check if I'm walking enough steps. I would love this to see if I'm doing enough walking .. I try to walk each evening and I am quite active during the day but would love to know how many steps I actually take. Trying to get my "step count" up and this would really help. I just love walking, I have a bad knee at the moment I’m sure one of these watches would encourage me to exercise more. Have been looking at these for ages would be lovely to win one. Would work well in conjunction with a Couch to 5K programme. a step in the right direction to getting fit ! Now this is something I could really use to get back into some form of fitness. I need to lose some weight. This would be a great help. This would be a great addition to my healthy eating. I just assume, probably too optimistically, how many steps I've completed!! I am a volunteer walk leader and would love to be able to tell my groups exactly how well they have done. I am a happy Damart customer and have been for several years, how good to know they are helping people by gifting this usful watch. Lost my pedometer so this would really make me get up and move! I think one of these would help me be fitter and I would Love to have one. It’s time to see those pounds fall off! Anything to help raise fitness level would be very welcome. Would love to know how many steps I do each day, so this would be very useful.